When I went to Texas last September, and surprised my best friend Debbie with a visit, we did a lot of family things together that included her husband and kids. While we enjoyed those times, we also relished a few getaway moments for ourselves, where we got to re-live our “Mer Deb Dates” that we so loved when she was in California. The two together make a perfect combination of sweet and salty that is To. Die. For. Please, if you haven’t tried it – do it. You can thank me later. 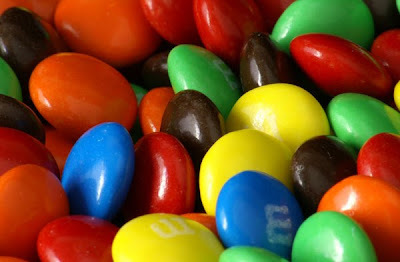 Preferably with MnMs. On this particular afternoon movie trip we were actually saving our appetites for dinner, so I don’t think we partook of our usual treat. We knew her husband would be throwing dinner together for us that evening, and we wanted to save room. See, we do have self control! The movie we saw – I absolutely fell in love with it. Sure, it has Eric Bana, and sure, you get to see him without clothes an awful lot. But that wasn’t all I loved! I truly fell in love with the love story and how it came along from beginning to end. I loved it so much that a few weeks ago I bought the book, and I’ve been doing with it what I now tend to do with books I enjoy – devouring it slowly. I used to read at every free moment I could and would burn through books so fast that my library card could barely keep up. But nowadays I tend to savor them; appreciate them longer. Most of the time I intentionally leave a book at work so that I can’t read again until lunch the next day. If 34 year old me could time travel back and tell 15 year old me such a thing, the 15 year old me would be horrified. I’d probably call it book lover blasphemy and kick myself in the knee. Still, there’s something to be said for enjoying a book for as long as possible. And perhaps a part of me wants the story I first saw with Debbie to last that much longer. She’s a part of this book with me, a memory that turns up every few pages or so. 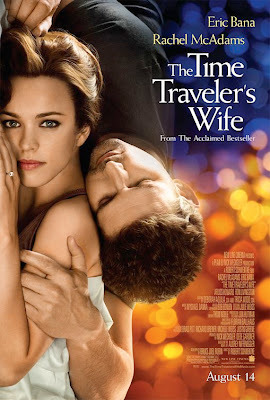 Liked the movie (how could anyone not love Rachel McAdams?) and I LOVED the book. Love love loved the book. Such an amazing love story!